You like your minorities like your pandas – picturesque, cuddly, endangered, helpless. But I refuse to be a panda. I refuse to go extinct. I want to live. Like them. What happens when the only thing you have to sell is your culture? When the only way to free yourself is to betray your roots? 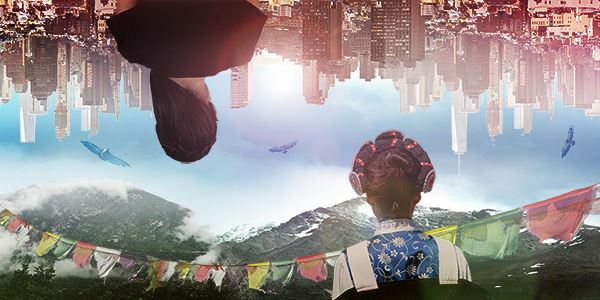 In the first play to put contemporary Tibet on the UK stage, Amy Ng (CC '96/MA '96) lays bare the tensions, contradictions and private pain inherent in cultural tourism on the frontline of globalisation. Directed by Olivier-award winner Charlotte Western, Shangri-La is made possible through the generous support of Mark Rylance, ambassador for Survival International, as well as a host of other theatre luminaries. Shangri-La is not a myth. Shangri-La is a place. Bunny, a young woman of the indigenous Naxi tribe, witnessed her family’s livelihood destroyed by mass tourism and the influx of capital. She dreams of escape as a globe-trotting photographer. Nelson, her liberal Chinese boss, dreams of a new kind of tourism: sustainable, respectful, enabling genuine cultural exchange. Karma, their Tibetan colleague, wants riches, respect and redemption for a guilty family secret. Their western clients yearn for escape. These desires collide head on in Shangri-La. Wednesday 20th July - The Fight for Shangri-La, a discussion about the competition between provinces in China to be named Shangri-La, and the effects on the local people. Thursday 21st July - Can Tourism Ever Be Respectful of Local Cultures? Although not exclusive YCL Speaker Series events, YCL members are warmly encouraged to attend either or both nights. Individual bookings can be made directly with the Finborough Theatre. For group discounts, please click here.